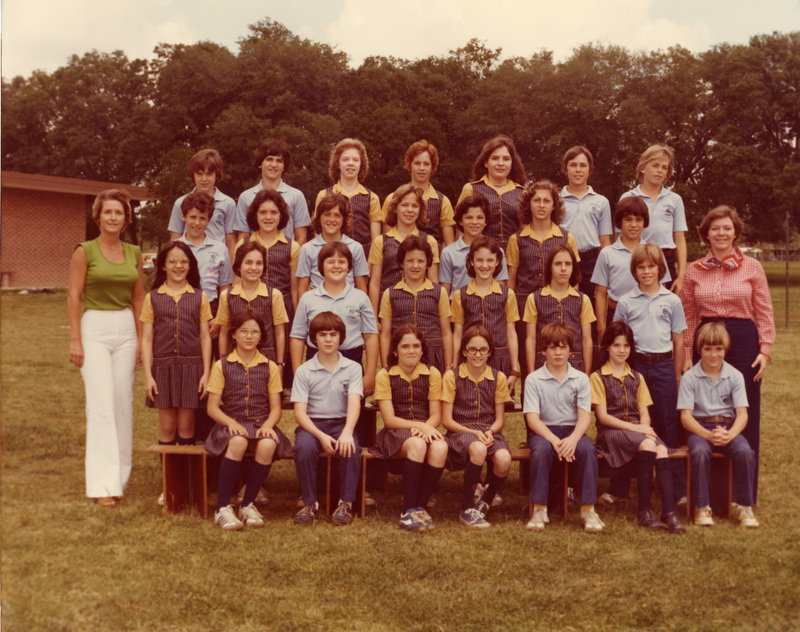 Rebecca: Hello SGS class of 1979 friends! Stephan – what r u doing? Do you remember when Julie Burroughs had you demonstrate the difference between LIE and LAY? I think of you every time I hear the stupid song with the lyrics that get it wrong. Me: Rebeccca, god my memory is bad. I only vaguely recall that–who is Julie Burroughs… a teacher? I remember I think a Ms. Burroughs? What was the lie-lay incident? You have me curious now, do tell! Rebecca: Yes Ms. Burroughs was a teacher, and I assume she taught English. She asked if anyone wanted to demonstrate the verbs lie and lay. Of course you know who volunteered. For LIE you stood in the front of the class and said, “Michelle Lorio has blue hair.” [She had red hair.] For LAY you laid (or lied?) down on the floor in the front of the classroom. That was right in front of my desk, and Ms. Burroughs was trying not to totally lose it so I guess that’s why it stuck in my memory. There were a few other Stephan Kinsella moments filed away with that memory. Mostly humorous! Neat picture. I went to St. George during the 80s (1980 – 1986). Mrs. Toups on the left was the P.E. Teacher. What year was this picture taken? I am assuming like 1976-1978 time frame, if you graduated in 1979. The other teacher was gone by the time I attended SG. The girl in the middle of the picture. She was the one who came up with the name for the first year book called “Dragon Tracks”. And to this day, they still call the yearbooks “Dragon Tracks”. I read about her in the 1979 year book. I think her last name was Pecue. She was in 8th grade in 1979. Or is that somebody else? I remember when the space shuttle blew up and they announced it on the intercom system at St. George. I was in 5th Grade, Mrs. Brouillete’s class and Mrs. Toups had just walked in to take us to P.E. Class. And everybody was in shock. And Mrs. Toups then told us it was time to go to P.E. class. We went outside on the football field behind the cafeteria. She made us do the shuttle run, in the freezing weather. Where you had to run back and forth and pick up an eraser and drop it, then run back and pick it back up. I remember thinking that this was sort of an odd thing to make us do on the day the space shuttle blew up. It was a very weird day. Mrs. Toups was a pretty teacher. She was very athletic too. Bad Behavior has blocked 5294 access attempts in the last 7 days.